Dynamism is one feature that is integrally related to responsive websites. This means that the site will adapt to the screen size from which it is being viewed. Those related to online businesses know how important it is to study the behavior of the regular website users. If you are still asking why use responsive design, then you are clearly denying the latest trends in website design. Studies show how the percentage of mobile device usage has increased in the last few years. Owing to this reason more and more people are opting to access internet with the smart devices. If your website is not suitable to be viewed from these handheld devices, then you will surely lose out. Probably it is not entirely right to define responsive web design as a trend. Rather it is a necessity that you cannot afford to ignore. Whilst cellphones have made communication easier, they have also contributed heavily in shaping internet viewing. The mobile internet marketing is slowly becoming the new standard and as a result the size of your websites must match upto it. If you still have not gone the mobile way then it is time to look for professional responsive website designers. The online businesses must adjust to this reality. Build a website that is simple. UX is a key factor in optimizing websites. Hence, while opting for responsive website design services, make sure that you get a simple site that is easy to navigate. For instance, check out the leading ecommerce websites like Amazon or Flipkart. Navigating through huge number of products is so easy. They are easy to navigate and well categorized. Tell a story. It is important to convey the message efficiently across to your consumers. How can you do that? The message must be well constructed so that the target audience can relate to it easily. It must be remembered in this regard that implementing a responsive site is not an easy task. In order to spell success there are certain responsive website design trends that you should follow in 2015 in order to stay ahead in competition. Will you stay on a webpage that takes ages to load? Of course you wouldn’t. Then how do you expect your visitors to stick to a brand whose website takes too long to respond. Usually website built with responsive design takes more time to load because there are various codes being used for desktop, mobile and tablet devices. However, with the introduction of newer technologies the sites load quicker. This technology is referred to as the Adaptive Delivery Technology. It helps in detecting the kind of device from which the website is being accessed. After recognizing the device, it loads the different types of CSS and HTML codes that are required to load the page in a specific device. If you are interested in decreasing the loading time for your website then you do not need to revamp your site. Responsive web design offers a host of new platform and in order to manage them, a lot of companies are hiring analysts. You can now opt for professional responsive website design services. This is one strategy that will become vital for several companies. When more numbers of sensors are integrated within the hardware, it becomes easier for the brands to comprehend which users are accessing their websites. There are sensors to detect the span of time which the user spends on their website. This helps the advertiser to analyze the attitude and habit of the users. Based on it, the websites can improve their quality of content in order to engage with the customers better. Thus, the brands can find out about the context of the user while creating a responsive website. There are several frameworks that help the designers in building a responsive site. These are a set of scripts that allow the creation of easy to use interfaces. Knowing about these frameworks will help you to brief the designers better about your website. 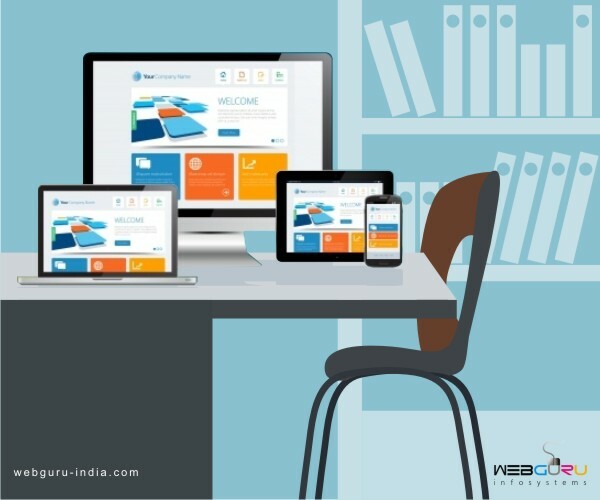 Responsive website design trends in 2015 predict that there will be new technologies to which the websites will have to adopt. In order to ensure success for your online business it is crucial that the sites are responsive so that the customers respond better to your brand and business.